Perhaps he would have made a bigger deal out of the new catalog if someone else had been the author, but in fact the Montana Precancels Catalog & Guidebook was his creation. 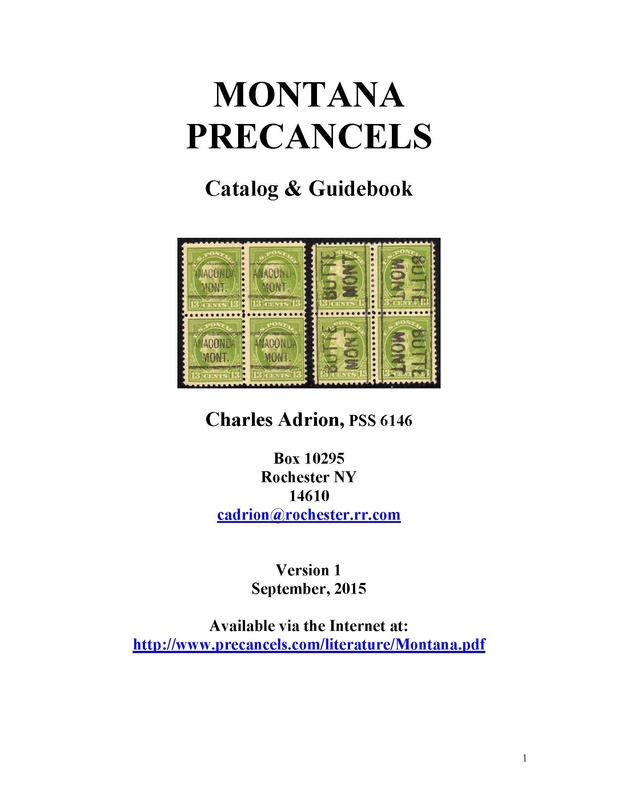 Following the Introduction, Adrion includes a reference bibliography, very helpful notes on his organization and abbreviation of the listings and his well-reasoned opinion on the valuation of U.S. precancels today, plus information on dated controls, authorizations, perfins, difficult identifications, populations of Montana towns, and acknowledgements. 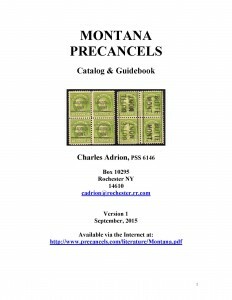 This is followed by 65 color pages showing precanceled stamps from Montana towns from Absarokee (2010 population 1,556) to Worden (2010 population 1,230), plus two additional pages on Montana-precanceled postal stationery. Not only that, but you’re going to love the price!